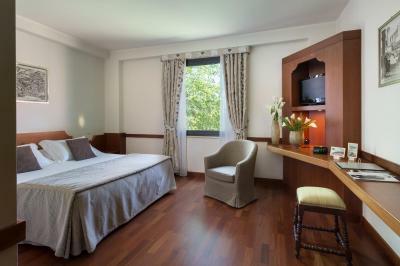 Lock in a great price for Valle di Assisi Hotel & Spa – rated 8.8 by recent guests! Our room was very comfortable, and the swimming pool was large and lovely, with umbrellas for shade. The staff spoke English and were very helpful. Staff is very friendly and helpful. Sauna is very nice but 35,00 charge is far to much BW Premier should be included. 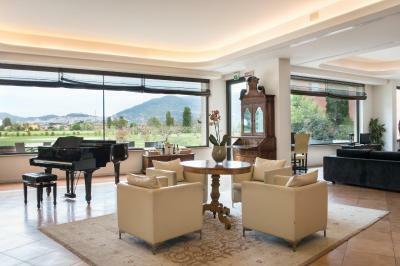 Quiet location, easy to drive to Assisi but you need a car. The hotel was excellent. Large car park, lovely pool with pool bar. Beautiful views of Assisi. Couldn't ask for better. Super in tutto bellissimo e molto consigliato. Non vedo l'ora di ritornarci per un prossimo soggiorno. Ve lo consiglio!! Abbiamo trascorso un weekend di pieno relax nella struttura ed è stato tutto davvero fantastico! Camera pulita e tecnologica, dotata anche di cassaforte per stare tranquilli. Ampi spazi nella struttura, cena deliziosa, spa eccezionale e massaggi strepitosi! TORNEREMO SICURAMENTE!!! La struttura è bellissima. Ben curata. Le stanze ampie e pulite. La Spa molto bella. Lo staff accogliente gentile e sempre a disposizione. Ampia scelta per la prima colazione. Ampia struttura sia per gli spazi comuni (hall, sala colazione) che le camere, Silenzioso e confortevole lettone, vista la stagione (bassa affluenza) ci hanno anche dato l'upgrade della camera che è sempre molto gradito. Bravi!!! 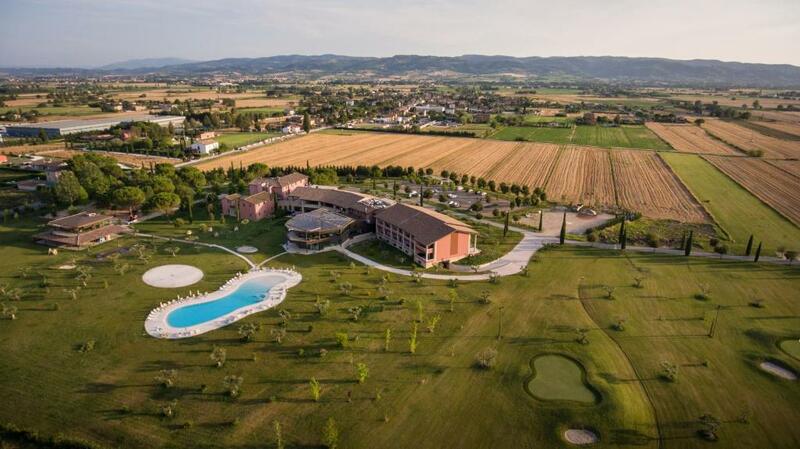 Valle di Assisi Hotel & Spa This rating is a reflection of how the property compares to the industry standard when it comes to price, facilities and services available. It's based on a self-evaluation by the property. Use this rating to help choose your stay! 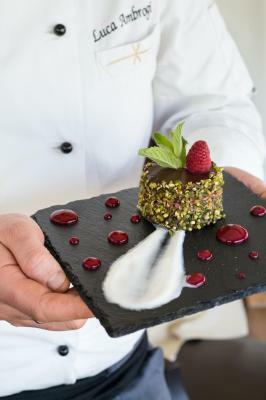 One of our best sellers in Santa Maria degli Angeli! Set at the foot of Mount Subasio, 2.5 mi from Assisi, Valle Di Assisi is surrounded by 60 hectares of unspoiled Umbrian countryside. 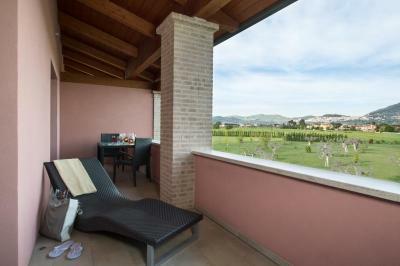 It features a terrace overlooking Assisi, an outdoor pool and free WiFi throughout. 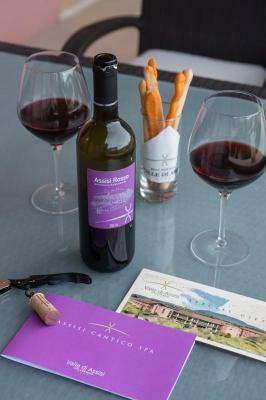 The property produces its own olive oil, wine, and balsamic vinegar. 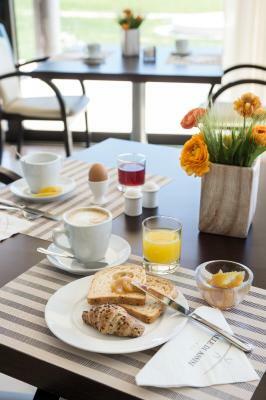 Your day starts with a buffet breakfast, which includes homemade cakes and a selection of gluten-free food. 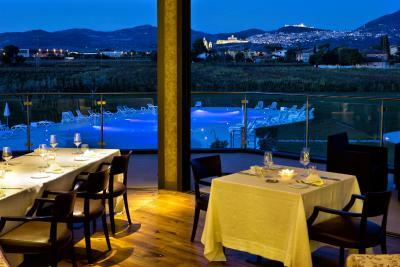 Recanto restaurant offers a traditional menu of Umbrian dishes. Wine tastings are also available. 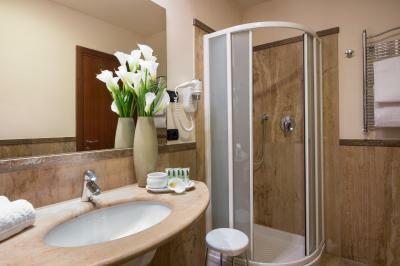 All air-conditioned rooms feature a flat-screen TV and a private bathroom with hairdryer and toiletries. 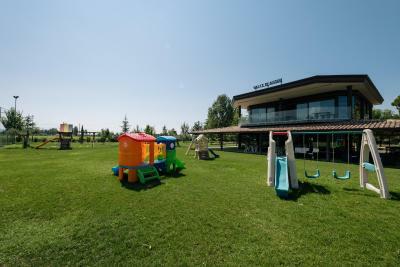 Sports facilities include a tennis court and bike rental service. 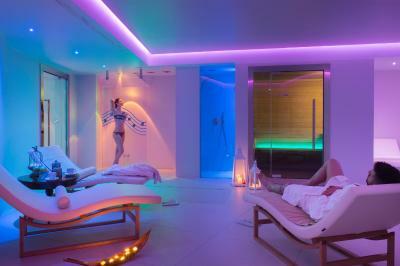 You can book massages at the property's wellness center, which has also a Turkish bath, sauna, sensory showers and hot tub, as well as a Kneipp path and relaxation area. 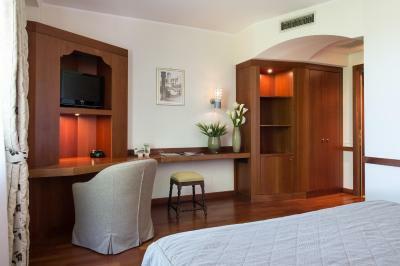 Set in Santa Maria degli Angeli, Valle Di Assisi Hotel & Resort is 15 minutes' drive from Assisi. Perugia and Spoleto are around 30 minutes away by car. 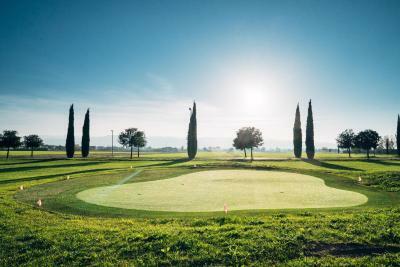 San Francesco d'Assisi Airport is a 15-minute drive away. 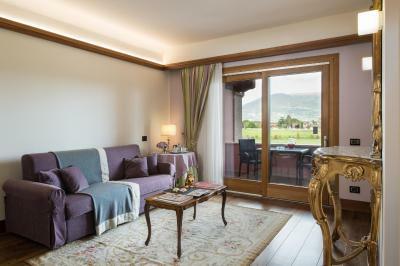 When would you like to stay at Valle di Assisi Hotel & Spa? 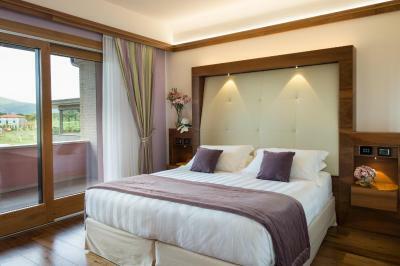 The classic room has an elegant design and a view of the Umbrian hills. 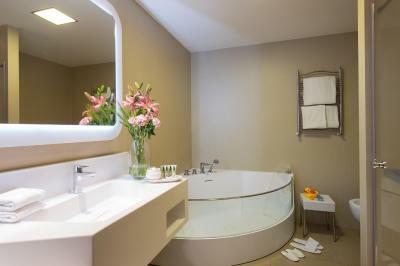 Every room offers air conditioning, free Wi-Fi and an LCD TV with satellite channels. 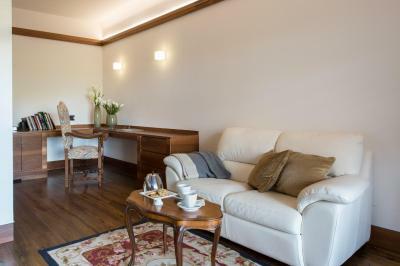 This bright and spacious room has large windows, special mattresses and tea and coffee-making facilities. 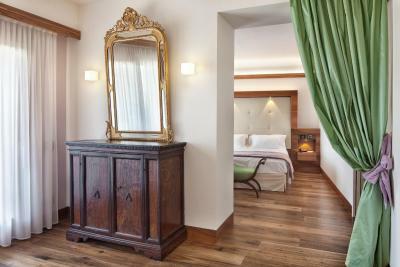 The deluxe room offers a view of the Umbrian countryside. 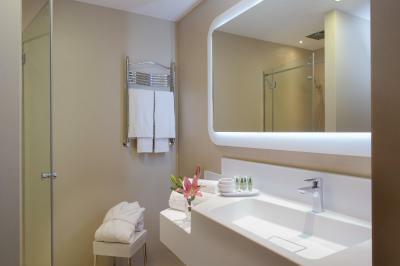 Every room offers air conditioning, free Wi-Fi and an LCD TV with satellite channels. Please specify bed preference when booking. Animals are not admitted. 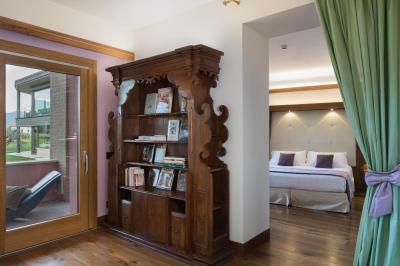 Offering panoramic views, this suite features a furnished balcony with sun loungers. 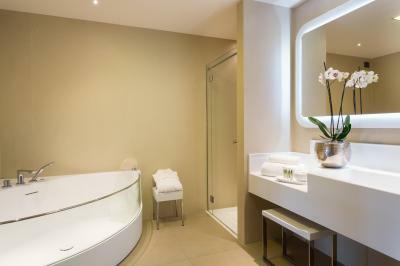 The private bathroom comes with a large bath and a shower. Bathrobes and slippers are provided. 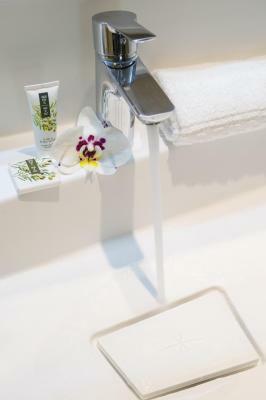 House Rules Valle di Assisi Hotel & Spa takes special requests – add in the next step! 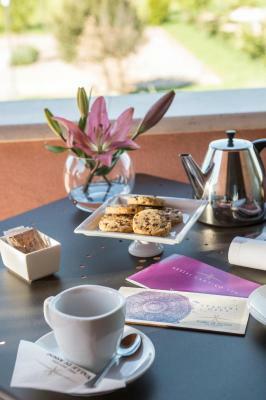 Valle di Assisi Hotel &amp; Spa accepts these cards and reserves the right to temporarily hold an amount prior to arrival. 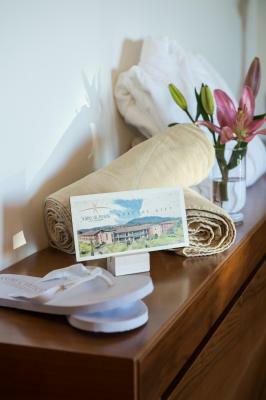 Valle di Assisi Hotel & Spa accepts these cards and reserves the right to temporarily hold an amount prior to arrival. 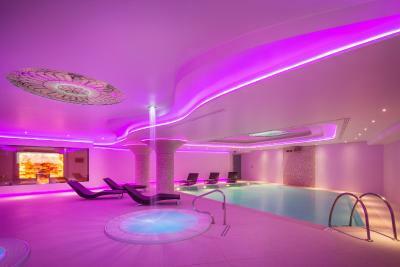 Please note that access to the spa center and indoor pool come at a surcharge of EUR 35 per person per 100 minutes, and are available only for guests over the age of 18. 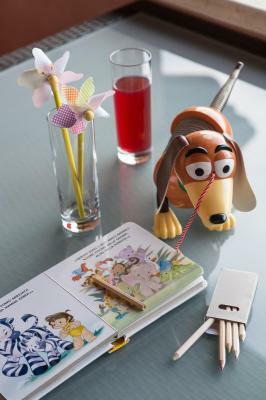 When adding dinner to your reservation, please note that drinks are not included. some issues with the room and mini Gym Crosstrainer did not work no AC to warm there, but the management react great gave free entrance to the Sauna. It was far from town, they don’t have bikes and taxi is very expensive. Noise - noise - noise > cardboard walls, one hears everything (I mean everything) happening in neighbouring rooms and in the corridor. Location. 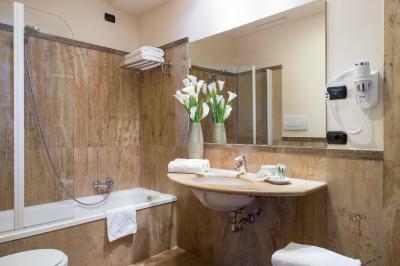 Hotel was difficult to find and was located in a nearby village and not in Santa Maria degli Angeli. Couldn't really walk anywhere. Had to use the car.